The recent 2016 QLD Wine Awards were held in brisbane last week. 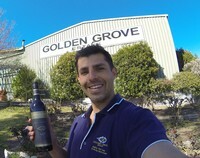 Golden Grove Estate came away with 9 medals. Four Silver and 5 Bronze.